Gambitious B.V. was founded in 2011 as an unprecedented model for funding video game development, growing over time into an equally accomplished publisher of independent titles. Today its founders have announced a rebirth of that vision, backed by an infusion of new capital and expansion of its leadership team. 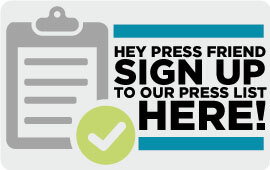 The company, now rebranded as Good Shepherd Entertainment, will focus on improving production values in indie games, especially writing, music and voice acting, while strengthening its marketing team and aggressively growing its proprietary private investor network to participate in its successful revenue-sharing model. Amsterdam July 13, 2017 – According to new research*, interpersonal insults hit their annual peak over the summer months as tempers flare in the stifling sun. To mark this offensive occasion, the nincompoops at developer Vile Monarch and frightened schoolboys at Gambitious Digital Entertainment present the Oh…Sir! 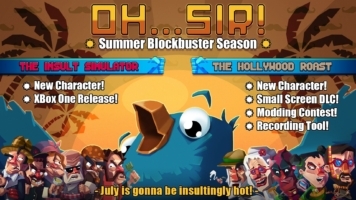 Summer Blockbuster Season, with free potty-mouthed updates coming to Oh…Sir!! The Insult Simulator and its equally disrespectful progeny Oh…Sir! The Hollywood Roast on PC and mobile throughout the summer. 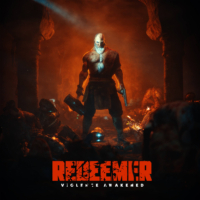 Gambitious Digital Entertainment has revealed with a new gameplay trailer that it will release independent developer Sobaka Studio’s top-down, close-quarters action brawler, Redeemer, on Aug. 1 for Windows PC via Steam and GOG.com for €14,99. As Vasily, an ex-mercenary on the run from the shadowy forces he once worked for, players will punch, kick, hammer, hack, smash and shoot through an army of elite operatives on a mission of reckoning and redemption. Gambitious Digital Entertainment has announced it will publish independent developer Italo Games’ Milanoir, a pixel-packed action game inspired by the masterpiece Italian crime movies of the 1970s. The title is expected to launch later this year on Windows PC. Gambitious Digital Entertainment has released the first official gameplay trailer for Outreach, the upcoming zero-gravity adventure game from independent developer Pixel Spill. Gambitious Digital Entertainment has released Oh…Sir! The Hollywood Roast, independent developer Vile Monarch’s most audacious insult dueling game yet, for 3.99 € on Windows PC, Mac, and 2,99 € on Android. A version for iOS will be coming shortly.